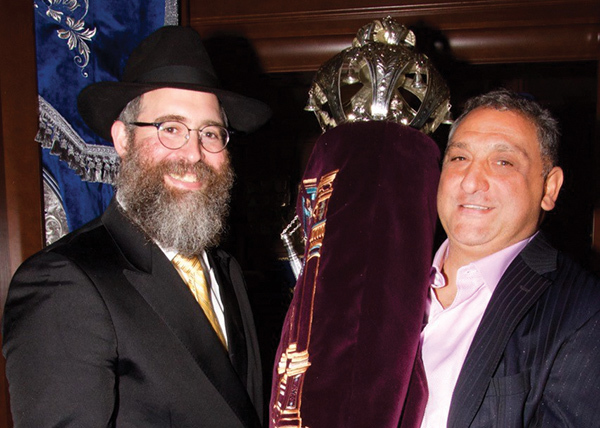 CHABAD HOUSE OF MONROE celebrated on April 7 the completion and dedication of a new Torah scroll, donated by Danny Matarese in memory of his mother, Susan Barbara Korn Matarese. The scroll is housed in the synagogue, which was built by Matarese’s company, Danco Construction. “Danny’s dedication to Jewish continuity is self-evident,” said Rabbi Yehuda Spritzer, director of the Chabad House, which is affiliated with Chabad of Central NJ. Visit jewishmonroe.com.